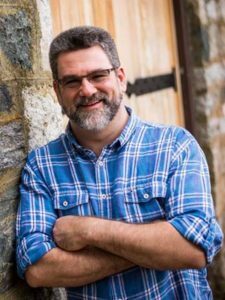 Christopher Golden is the New York Times bestselling author of Snowblind, Tin Men, the upcoming Ararat, and many other novels. In the comics field, he co-created and writes two cult favorite series from Dark Horse Comics, Baltimore and Joe Golem: Occult Detective. As editor, his anthologies include Seize the Night, The New Dead, and the upcoming Dark Cities. He is one-half of the workshop and editorial services company River City Writers and one-third of the pop culture podcast “Three Guys With Beards.” Please visit him at www.christophergolden.com. Available Titles by Christopher Golden: DON’T GO ALONE; STRANGEWOOD; THE FERRYMAN; THE SEVEN WHISTLERS (with Amber Benson).